Essential Oil PEPPERMINT is a general stimulant: both tonic for the digestive system and helps to fight against mental fatigue. It is also an excellent remedy for motion sickness. Peppermint is the result of a cross between two varieties of mint (Water and Green). It is a plant magnet moist soils in temperate regions and whose pink and purple flowers give off a slightly peppery smell. These are the flowers that are used to extract the essential oil by steam distillation of water. Essential Oil PEPPERMINT MINT helps tone the digestive system after a heavy meal and prevents bloating, constipation ... It also helps fight mental fatigue and migraines. Finally, it proves invaluable in sickness. - Anti-emetic and stomachic (stomach ache). - General and neurotonic stimulant. - Useful after antibiotic treatment. Its effectiveness is quick: well used, it quickly brings a feeling of relief and well-being. Oral (digestive system): 1 drop on a neutral tablet to be taken 3 times daily for 7 days. Subcutaneously (headaches): Pure or diluted in vegetable oil, massage 3 times daily 2 drops of essential oil of peppermint. 1 drop of essential oil of peppermint + 1 drop of essential oil of lemon on a neutral tablet. 1 drop of essential oil of peppermint + 1 drop of essential oil Ravensare on a neutral tablet. 1 drop of essential oil of peppermint + 1 drop of essential oil of lemon or dill essential oil on a neutral tablet, 4 times daily. 1 drop of essential oil of peppermint applied to the forehead and temples (dermal). Attention to eyes! 1 drop of essential oil of peppermint + 1 drop of essential oil of dill herb + 1 drop of essential oil of cardamom, 2 drops of this mixture on a neutral tablet as needed. 1 drop of essential oil of peppermint + 1 drop of essential oil of red myrtle, 1 drop of this mix in local application on the painful area. It is also a tonic in atmospheric diffusion: 5% essential oil of peppermint and 95% essential oil of Lemon. It is a hybrid mint grown in Europe, North America and Russia. Its smell is powerful, its pungent and refreshing flavor. 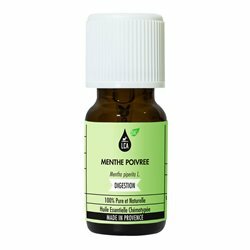 There are two biochemical characteristics; one containing predominantly menthol is the best, the other mainly containing menthone is not recommended for self-medication. The Mint is often falsified by Mentha arvensis var. piperascens produced in large quantities by China and Brazil for extraction of menthol; its smell is much coarser than Mentha piperita but also its refreshing taste. Peppermint is a sparkling HE can make people a little pranksters! Phytosun arôms has been developing HEBBD Quality Essential Oils, Vegetable Oils and Aromatic Hydrolates for more than 20 years. This guarantee of quality and safety, recognized by pharmacists and doctors, positions Phytosun arôms as a leader in the sector. Phytosun arôms is one of the brands of Omega Pharma France laboratories. 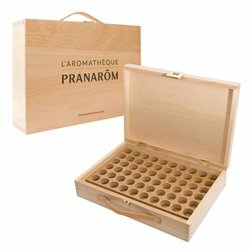 Phytosun arôms provides all the guarantees of traceability of a pharmaceutical laboratory in the field of natural substances extracted from plants. Phytosun arôms products are subject to very strict pharmaceutical controls and are exclusively distributed in pharmacy and drugstore. 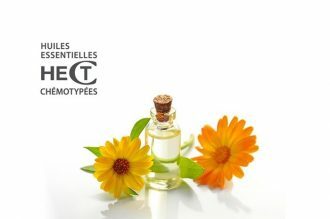 To meet the changing expectations of consumers, Phytosun arôms launched in 1990 the first finished product of the market: Aesculapius , then continued to develop its range of finished products with Phoebus, Demeter , a range of Oils Care Kiné + , a range of Complexes for Diffusers, a range of Aromatic Baths and a range of Aroma Ampoules . PHYTOSUN arôms undertakes to comply with the HEBBD (Botanically and Biochemically Modified Essential Oil), French and / or European Pharmacopoeia and internal standards requirements . Choice of origins, quality of the botanical species and selection of the producer organ of the plant. Quality of the extraction methods used: steam distillation or cold expression. Control of the identity and quality of the Essential Oil by analysis: gas chromatography and mass spectrometry. Guarantee of a 100% Pure and Natural Essential Oil: unmodified or diluted, not deterpenated or rectified, not reconstituted. Respect the precautions for use specific to each Essential Oil, appearing on the packaging or present on the detailed pages of the site. If you have any questions, ask your pharmacist for advice. 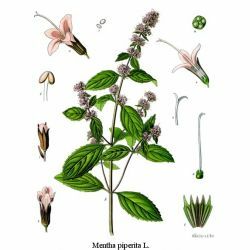 The Peppermint Essential Oil Mentha Piperita facilitates menstrual period and prevents the flow of milk. 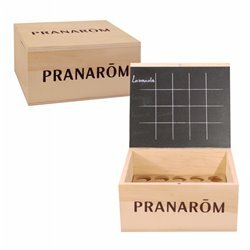 It soothes the mind (depression, fatigue ...) and promotes concentration.